get to the bottom of an auction-house holdup, during which the top bidder for a massive slab of carved stone was killed. The deceased: John Gildersleeve, a professor of Medieval English and an authority on Geoffrey Chaucer, who believed the coveted artifact--known as the Wife of Bath--was linked to his favorite English poet. Was Gildersleeve’s shooting incidental to the theft, or was the robbery a smokescreen for croaking the educator? Diamond’s probing sends him to Chaucer’s house in Somerset, while his colleague Ingeborg Smith pursues an undercover inquiry into illicit weapons suppliers. A rookie cop gone missing and fears that the Wife has cursed Diamond’s office add to this tale’s complications. But what often happens with my interviews happened with this one, too: I had more to ask Lovesey about than I had room for his answers in Kirkus. So I’m posting the balance of our exchange below. 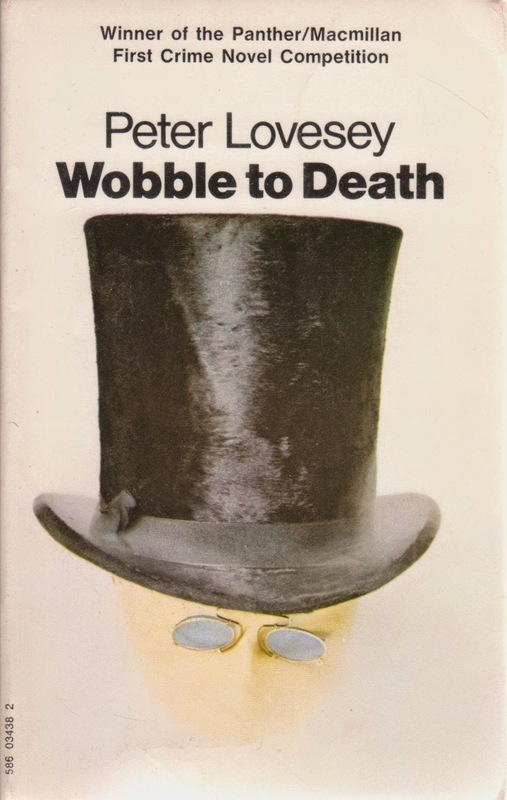 Lovesey, by then, had seen 10 of his novels published, most of them--starting with 1970’s Wobble to Death--starring Sergeant Cribb, a military man turned London policeman, who’d advanced to Scotland Yard’s Criminal Investigation Department (CID) in part as a result of the local force’s embarrassing “Turf Fraud” corruption scandal of 1877. Cribb wasn’t an intellectual rival of Sherlock Holmes; he couldn’t deduce the height, weight, and intestinal ailments of a suspect simply by sticking his nose into the man’s pipe shag. Instead, he was a tenacious detective capable of meanness and deceit, but in the words of his creator, “a fine exemplar of a popular Victorian adjective: earnest.” Cribb’s polite persistence at pursuing clues scattered about a case usually resulted in a conviction. My particular interest in Lovesey in 1981 revolved around Cribb, a British television series then beginning its second-season run on U.S. public broadcast stations (under the title Sergeant Cribb). Lovesey, with his wife, Jackie (aka Jax), was writing all of the episodes, eight of which were based on his Cribb novels. A pilot, adapted from Waxwork (1978), his Silver Dagger Award-winning final Cribb tale, was shown in the UK just before Christmas, 1979, with the series following the next spring. English thespian Alan Dobie took the role of Sergeant Cribb, with Welsh actor William Simons playing his less-brilliant but still indispensable partner, Constable Edward Thackeray. Intending to compose a piece about Cribb and Lovesey for Fresh Weekly, I made an initial contact with the author and then followed-up with four typewritten pages containing 42 questions. (Even back then, it seems, I had enough cheek and curiosity for half a dozen other writers.) Lovesey responded a couple of weeks later with five typewritten pages containing his answers, along with a cover letter that concluded: “If you have some more questions, I would appreciate it if they were not too many, as I can’t spare much more time on this. Perhaps I’ve given you enough already? I’m an optimist.” (Amazingly, I saved all of that correspondence, and have now scanned and posted it here for your edification.) Due to reasons I cannot now recall, the entertainment editor of Willamette Week ultimately could not use my finished article, so I peddled it instead to the TV section of Portland’s largest daily paper, The Oregonian. Over the last three decades, Peter Lovesey has taken his career well beyond the Cribb yarns, as popular as they were--and continue to be. 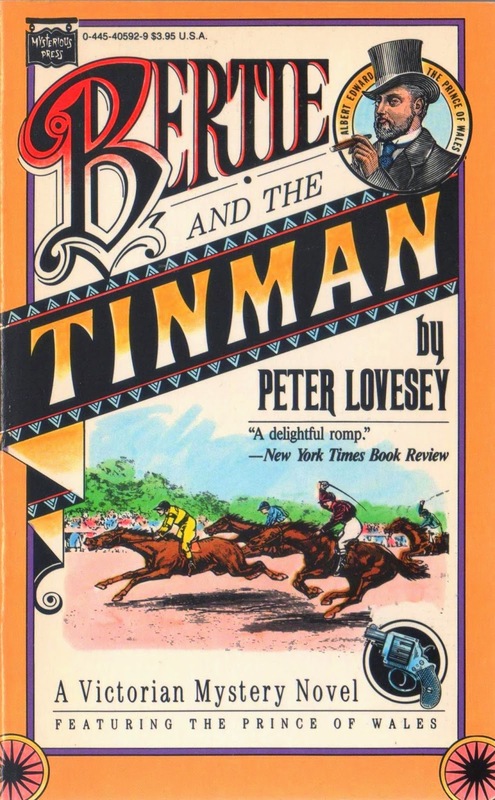 He’s concocted two other mystery series: one (beginning with 1987’s Bertie and the Tinman) that imagines Queen Victoria’s amiable but randy oldest son, Albert Edward, the Prince of Wales—and future King Edward VII—as a manifestly inexpert sleuth; and the other led by the aforementioned Peter Diamond (who debuted in 1991’s The Last Detective, a work that captured the Anthony Award for Best Novel). 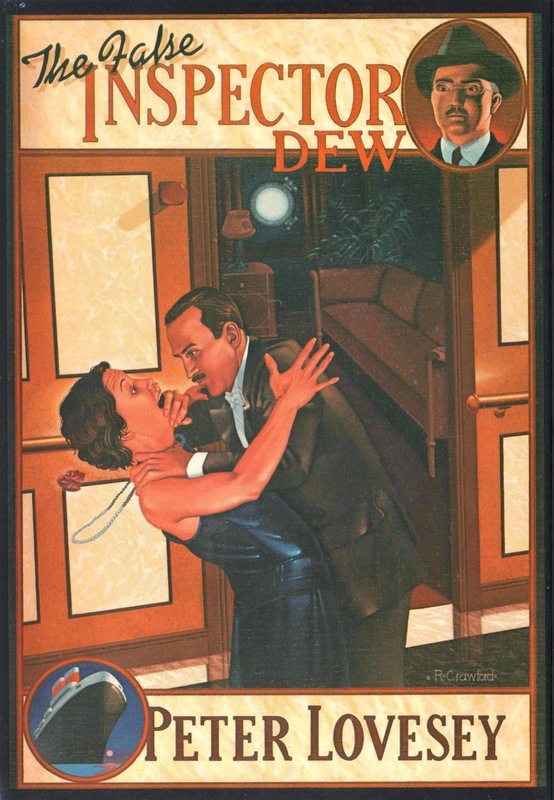 In addition, this author has produced half a dozen standalones, among them: The False Inspector Dew--one of my personal favorites from his oeuvre--which won the 1982 Gold Dagger from the British Crime Writers’ Association (CWA); On the Edge (1989), adapted for the small screen in 2002 as Dead Gorgeous (all of which can be watched online, beginning here); 2000’s The Reaper, the one-off novel that Lovesey says “I like best”; and The Circle, which gave Detective Chief Inspector Henrietta “Hen” Mallin (from The House Sitter, 2003) her first starring role. Lovesey served as the chair of the CWA from 1991 to 1992, and in 2000, received the CWA’s Cartier Diamond Dagger lifetime achievement award for his crime-fiction writing. I never thought that, 33 years after I originally interviewed him, I would again be sending Peter Lovesey a list of questions--45 of them on this occasion, three more than before. But with no complaints, the now 78-year-old novelist answered every one, telling me about his boyhood experiences during World War II, his longstanding interest in track-and-field sports, the origins--and first name--of Sergeant Cribb, the historical class structure of Scotland Yard, Peter Diamond’s struggles as a character, and so much more. As I said, the first part of our exchange was posted earlier today in Kirkus Reviews. The larger portion of our e-mail discussion can be enjoyed below. J. Kingston Pierce: I know very little about your parents, other than that your father left school early--at age 13, I believe. What did your father do for a living? And was it your parents who instilled in you a love for reading, or did that come later, from another influence? Peter Lovesey: My father joined a bank after leaving school and was a bank clerk all his working life, apart from the six years of World War II, when he was in the army. My mother leaned shorthand at Pitman’s secretarial college and had mainly secretarial jobs, eventually becoming secretary to the general manager of the Parker Pen company in the UK. After marriage she became a mother and housewife like most of her generation. They encouraged their three children through school and we were all keen readers. The love of books must have been in the genes. My paternal grandfather, Charles Lovesey, was the son of a woodman, but taught himself Latin and Greek and became a grammar-school headmaster. His wife, Minnie, won a prize for poetry. On my mother’s side, great-grandfather was a bookbinder and we still have editions of Dickens he bound. JKP: You were born in Whitton, which was once a town known for its gardens and orchards, but is now part of southwest London. What was your childhood like? PL: Good research! When we lived there it was suburban London, built over, with a couple of small parks and a long street of shops beside the station where commuter trains took us in 30 minutes to London Waterloo. But my father, who worked in west London, cycled to the bank until the mid-1950s, when they bought their first car. I did a lot of cycling myself and got to know places nearby, such as Hampton Court [Palace], where King Henry VIII once presided; Kneller Hall, the home of military music; and Twickenham rugby ground, where all the big rugby football internationals were played. Sport was a major part of our lives and Dad followed it keenly (his own father had captained Devon at rugby and played against international teams), and took us to soccer, cricket, and athletics. Unfortunately, I was hopeless at ball games and athletics, but followed sport keenly all my life and it got me started in writing. JKP: Whitton was damaged by bombs during World War II. Were you still living there during that period? And how did that war shape the young Peter Harmer Lovesey? PL: I was 3 at the outbreak of war and 9 when it ended. Being kids, we felt none of the stress and enjoyed the excitement. For us, the war was mainly going on overhead and we got to recognize the various planes and their engine sounds. We were taught the routine of going down into shelters during raids. Afterwards no one could stop us scouring the streets for bits of shrapnel from bombs. In August 1944, my own house was destroyed by a V-1 ”flying bomb” that landed in the back garden. Miraculously, we all survived, although our neighbors in the other half of the suburban semi were killed. I was at school (down a shelter) and my mother had gone shopping, leaving my two brothers, John and Andrew, in the house. When the air-raid warning sounded, they got under the Morrison shelter, a cast-iron table with metal grille sides, and were dug out alive. Of course it was a huge event in our lives that I remember vividly. We were homeless and spent some weeks on a farm in Cornwall. 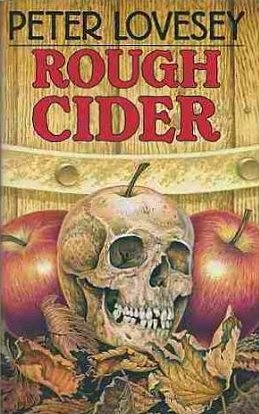 Some of those experiences went into a book I wrote later, called Rough Cider . We were without books for some time (understandably my parents had other priorities, finding us food and clothes and somewhere to live), and I can recall the excitement some years after when I found two books in a cupboard. One was The Life of Sir Edward Marshall Hall , about a persuasive defense lawyer involved in many of the great murder trials of the early 20th century. The other was Alias the Saint , by Leslie Charteris. In my ignorance I thought this must be a religious book. I read them both, over and over, and filled my head with crime of the real and fictional sort. JKP: Did you say you have siblings? PL: John, seven years my senior, followed our father into the banking profession and ultimately became a director of several banks. Andrew, who was three years younger than me, became a doctor of biochemistry and was registrar of a London hospital. He wrote a sci-fi/fantasy book, The Half-Angels, published in 1975, and would have written more, but he died of diabetes at the age of 40. JKP: I understand you first became really interested in sports at age 12, when you went to see the 1948 Summer Olympics in London. Was that your parents’ doing? And what do you remember from those Games that excited you in particular? PL: The Olympics were a big inspiration. Almost as big, however, was being taken by my father in 1945, at the end of the war, to London’s White City stadium, to see the world record-breaking Swedes, [Gunder] Hägg and [Arne] Andersson, take on Sydney Wooderson, Britain’s world record-holder for the 880 yards. The crowds were huge, and we didn’t get in, but we stood outside. Just hearing the crowd fired my imagination. Later the same year, we did get in to a big sports event, when the Moscow Dynamo soccer team played Arsenal, but a ”pea-soup” fog came down and it was difficult to see anything. Thwarted again--yet the excitement at both big events was intoxicating. More than 50 years later, I was thrilled to get to know Wooderson as a friend. But you asked about the 1948 Olympics. They were at Wembley and Dad managed to get tickets for one day only. The big race was the women’s 80 meters hurdles in which the star of the games, the “Flying Dutchwoman,” Fanny Blankers-Koen, defeated the Englishwoman, Maureen Gardner, in a photo finish. The entire experience of the games was an inspiration that hasn’t faded. JKP: Is it true that you were one of London’s first joggers? Can we also put that down to the influence of the ’48 Olympics? PL: Jogging is the right term. I was never able to do anything I could describe as running. The desire was there, but not the performance. So I shuffled along the streets, kidding myself that it would turn me into an athlete. And, yes, I dreamed of moving like my idol from the Olympics, [Emil] Zátopek. His reward had been a gold medal. Mine was sore shins and bruised heels. By now you’re thinking this is all very touching, but what in the name of Agatha does it have to do with crime writing? Hang on and I’ll come to it. JKP: You attended the University of Reading, from which you received a B.A. Honors in English in 1958. Had you always been an exceptional student? PL: “Exceptional student” I was not. Thanks to a new government initiative, mine was the first generation to attend university with financial aid. It beat working for a living, so I applied for a Fine Art course and switched to English after the first year. My main achievement was meeting a beautiful psychology student called Jackie [Lewis]. After completing my degree, I wrote to my professor of English asking for a reference and he wrote back: “You will now admit that you did no work at all.” He wasn’t far wrong. JKP: After graduating, you became a teacher, first at Thurrock Technical College, then Hammersmith College. Is that right? What subject(s) were you lecturing on, and for how long? PL: Before that I had to do national service (1958-61). I was a pilot officer and then a flying officer [with the Royal Air Force], but didn’t once get off the ground because I was in the education branch. Thankfully the money was good and I married Jackie and we lived well in Hereford, known for its succulent steaks. After the RAF I took the Thurrock job and taught English Language and Literature and something known as Liberal Studies that nobody could define. I moved to Hammersmith College in 1969 as Head of General Education, and remained in the job until 1975, when my earnings from writing were enough to allow me to take the plunge into full-time. JKP: Were you at all sorry to leave the teaching sphere? PL: No. Nothing beats writing. JKP: Then in 1969, you entered a first crime novel contest sponsored by publisher Macmillan. You’d penned one book previous to this time, a non-fiction work called The Kings of Distance (aka Five Kings of Distance), but never a novel. Yet you won that competition (and the £1,000 prize) with Wobble to Death, the book that introduced Sergeant Cribb. Were you astounded to have triumphed so? PL: To tell it right, I’d channeled my passion for running into writing while I was doing the teaching, first for a magazine and then the book about distance running. Getting into print was a huge boost. The Kings of Distance didn’t sell many copies, but it was named as sports book of 1968 by World Sports magazine. Even so, I couldn’t think of another subject I could write about until I saw an advert in The Times for a first crime novel competition and the prize was bigger than my annual salary. I was tempted to try, but I knew little about the craft of writing whodunits. Fortunately, Jax (she morphed from Jackie into Jax) was a keen reader and she suggested a story based on running would be something new. I recalled that while I was researching the running book I’d come across accounts of ultra-long-distance races in the Victorian era called “Go As You Please Contests.” This, surely, would be something different as a setting. It had to be written quickly, in just over three months. We introduced strychnine (a drug used as a stimulant by Victorian runners) and some murders and a couple of detectives called Cribb and Thackeray. It was entitled Wobble to Death and it won the prize. And, yes, I went straight to Cloud Nine. Introduction to the Cribb TV series. JKP: That first Cribb investigation combined two interests of yours--sports, as you say, and the Victorian era. I read somewhere that you first became interested in the late 19th century while doing research into the career of an American Indian who had been a famous runner in Britain during that period. Is that right? And was that Native American Deerfoot, about whom you wrote in The Kings of Distance? What made Deerfoot, also known as Lewis Bennett, so interesting? PL: I sometimes think Deerfoot is my guardian spirit. His portrait hangs in my study watching me as I write. Years before I wrote anything, I picked up a secondhand copy of a tiny almanac called The Sporting Chronicle Annual and in it was a picture of this Native American Seneca runner who came to England in 1861 and challenged the best British professionals. He was a sensation. He won regularly, of course, and set records no one would approach for many years after. Huge crowds came to watch him as he toured the country, running bare-chested. He stayed for two years, dined with the Prince of Wales and revitalized the sport of pedestrianism, as it was known. He was the first of my “Kings of Distance” and the inspiration that got me going. JKP: One of the curious things about the prim Victorian Age is that, as you’ve said before, it was easier back then to murder your wife or husband than to divorce her/him. Is that why there were so many males killers and female poisoners during that era? PL: Did I say that? Well, there was a stigma about divorce that lasted well into the 20th century. A divorcée was someone you wouldn’t invite to dinner. And divorce was made difficult. Cruelty or adultery couldn’t easily be proved. It’s true to say that some of the women poisoners were trapped in marriages from which there was no obvious escape. The threat of scandal in the Victorian era was immense. But of course there were other motives that have largely disappeared with the passing of time. A woman’s property became her husband’s on marriage. Blackmail for a variety of scandalous acts was a big hazard if you were outside the norm. Mental illness was shaming. All of this provides rich material for mystery writers, but blighted many lives. 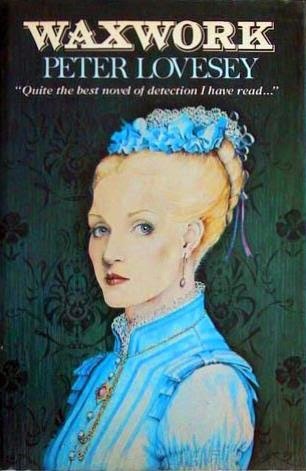 JKP: Cribb was a rather different character from many fictional Victorian detectives, more rough around the edges and less eloquent than, say, Sherlock Holmes. Were you deliberately trying to change the image of Victorian sleuths? PL: In choosing a sleuth, I was looking for realism, so I steered clear of amateur or private detectives. I wanted someone with the authority of the police, an ordinary, astute detective, credible as an investigator and working within the limitations of the time. Fingerprints weren’t in use and forensic medicine was not much more than toxicology. He needed to get to the truth mainly by question and answer. JKP: How important were class differences among 19th-century English policemen? Was it possible for someone of a lower social rank to achieve higher office, or were those positions reserved for people such as Cribb’s superior, Chief Inspector Jowett--men of family means and with military backgrounds, but who boasted less crime-solving experience than many of the coppers on the beat? PL: Almost without exception the Scotland Yard detectives were intelligent working-class men who came up through the ranks, and this was true of [Frederick] Abberline and his colleagues on the [Jack the] Ripper case. But the high-ups were often ex-army officers like Sir Charles Warren, with his theory about bloodhounds that was exposed as such a fiasco in 1888. JKP: Arthur Conan Doyle wasn’t the only person who perceived the police force in Victorian London as incompetent. Could that bumbling be traced to the fact that many of the people in charge at Scotland Yard hadn’t come up through the ranks? PL: It’s too sweeping to call them all incompetent. They had some successes in other cases and killers were brought regularly before the courts. The Yard men were often sent out of London to assist the rural police, who really were in difficulty. But of course they didn’t have the technical back-up of modern detectives. Also there was corruption--which was ever thus in police work. JKP: You penned eight Sergeant Cribb novels, beginning with Wobble to Death and concluding with Waxwork, that last tale set during the spring of 1888--mere months before Saucy Jack commenced his reign of terror. Why end the Cribb series there? Did you not wish to tell more stories after 1888, when the British public lost faith in Scotland Yard, due to its inability to catch the Ripper? Or was there another reason why you moved on? 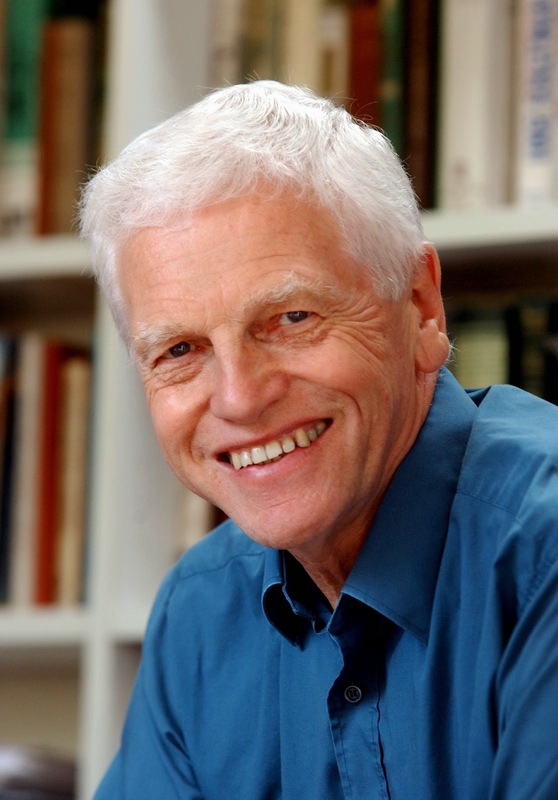 PL: As the Cribb series got about in Britain and America I thought about giving up the day job. There was interest from Carl Foreman (of High Noon fame) in filming Wobble to Death. With encouragement from Jax, I resigned [from teaching] in 1975 and have made a living from novels ever since. But at the time I doubted whether I could carry on forever writing Victorian mysteries. Between books in the Cribb series, I wrote a book called Goldengirl (1977) using the pen-name Peter Lear and projecting what might happen if an American woman athlete were to become the favorite to win three gold medals at the upcoming Olympics in Moscow. It was about the exploitation of a natural talent. Hollywood bought it and the movie was made starring Susan Anton and James Coburn. I was paid enough money to justify trying new things in the mystery field. By this time I’d already written Waxwork. The fact that this book was set in 1888, the year of Jack the Ripper, was pure coincidence. Trailer for the 1979 film Goldengirl. JKP: Even though you ceased penning books about them, you did offer a few new cases to Cribb and Thackeray in the 1980-1981 ITV series Cribb. And you wrote about them again in at least one short story (“Razor Bill”). Have you never since thought about building another novel around that wonderful, often funny pair? PL: Television came along when a review of Waxwork in Time magazine was spotted by June Wyndham-Davies, a Granada producer. It went out at Christmas 1979 with the inspired starring of Alan Dobie. They then commissioned all the other seven books for a series that sold to PBS and many other countries and was ITV’s biggest export in 1980. Jax and I were commissioned to write six new scripts. We quickly used up the few ideas I had for future Cribb books. In a way it drew a line under Sergeant Cribb. I wanted to try different things in writing. 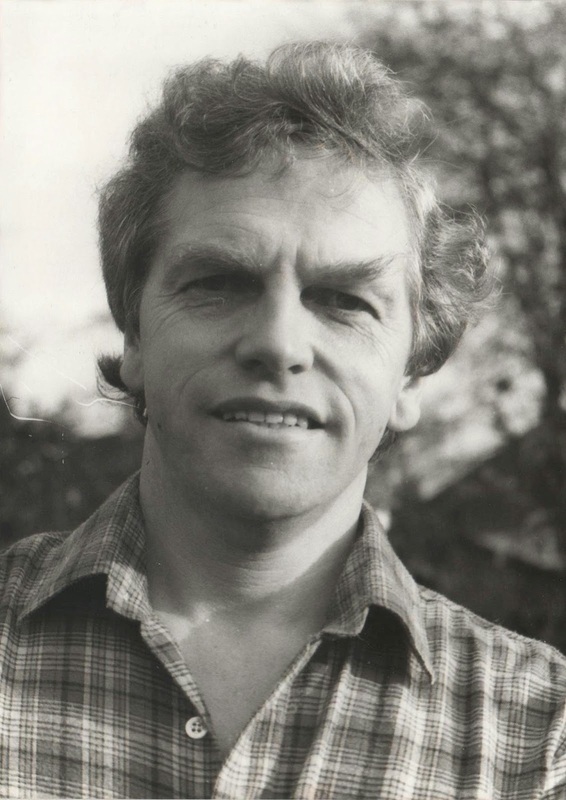 More than 30 years on, I doubt whether I could recapture the character as he was conceived. JKP: You never gave Cribb a first name in the books. But years ago, I asked you in an interview what you thought his first name should’ve been. You answered “Archibald.” Is that still your thinking today? 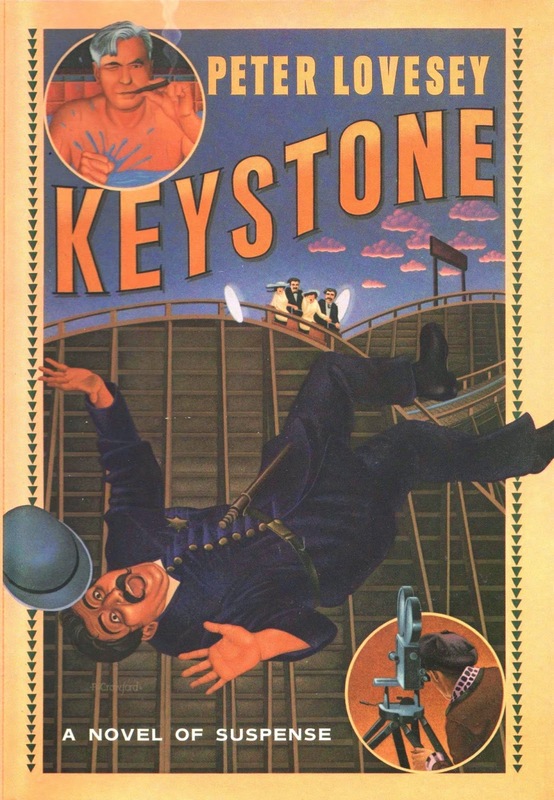 JKP: After ending the Cribb series, you went on to compose a succession of standalone mysteries, among them The False Inspector Dew, Keystone, and Rough Cider--all historical tales. And yet the standalone I have heard you’re most proud of is The Reaper, a modern-day yarn featuring a deliciously impious rector, the Reverend Otis Joy. What makes that black comedy such a standout for you? And did it affect your future writing somehow? PL: All of these stories are a break with the classical whodunit tradition that my series books are locked into. Periodically, I like to write from the point of view of the killer. The personable killer has always fascinated me more than the out-and-out villain. When you start a book you have an idea of how it should turn out. In The Reaper, I wanted to persuade the reader to be in there with Otis Joy, willing him along each step of his wicked way. Most readers--even members of the clergy--tell me I succeeded. To answer your last question, it was a one-off, and doesn’t influence me, unless it’s subconscious. JKP: The Reaper is an example of an “inverted mystery,” in which the reader is told whodunit early on, and the trick is to see how long he or she can remain at large after the crime has been committed. Why did you want to try your hand at such a tale? PL: In Britain we had a serial murderer in a position of trust who was finally caught about the time I was planning this book. Dr. Harold Shipman was convicted of killing 15 of his patients for their money and was said by the police to have murdered as many as 200 more, yet even after his conviction many of his patients refused to believe in his guilt and insisted he was charming and caring. This got me thinking about people who are so trusted that they can kill with impunity. JKP: Trading further on your reputation for producing sharply plotted but often-amusing historical mysteries, in 1987 you witnessed the publication of Bertie and the Tinman, the first of three novels starring Albert Edward, the Prince of Wales. Had you long harbored an interest in Bertie? And how did you come up with the notion of making him an amateur detective? JKP: Is it true that you’d planned Bertie and the Tinman as a one-off, but were convinced to write two more books about him? PL: Yes, it was fun being Bertie, writing in the first-person. He was uniquely well-placed to be a sleuth, because he had the power to call for Scotland Yard’s help if he wished or, equally, to command them to keep out of it. The joke was that he was totally inept and the mysteries got solved despite his chaotic efforts. Bertie and the Seven Bodies  was my tribute to Agatha Christie in her centenary year, with a killing each day of the week and a familiar rhyme providing clues. Bertie and the Crime of Passion  took him to Paris with Sarah Bernhardt. He really did once appear on stage with her, acting as a corpse. JKP: There seem to be a great number of mystery novels nowadays starring real-life characters. Do you find this to be an interesting trend? Or has it been overdone already? PL: A matter of taste, isn’t it? The writer has to be true to the personality to make it credible. JKP: What was your original conception of Inspector Peter Diamond, and how do you think he has measured up to your expectations? PL: Calling him “The Last Detective,” I made him one of the old-school of police sleuths, resisting the teamwork that characterizes modern investigation. Having a central character who does all the active detective work and deduction is impossible in the real world, but all crime writers have to contrive some way of fixing it if their protagonist is to satisfy the reader. Diamond is difficult to work with, clumsy, accident-prone, but has integrity. This is why he has survived 14 books. JKP: Diamond faced a variety of difficulties during the first books in this series, not the least of which were that he had to find a way back into law enforcement, after storming out of CID, and later lost his beloved wife, Stephanie, to a sniper. But lately he has had an easier time of it. He has a regular girlfriend and seems to have curbed his temper to some degree. Did you always want the man to find a peaceful groove and settle in? PL: In the first book, I had the unnerving experience of being sidelined by my own creation. At the point when he resigned, it was borne in on me that this strong personality wouldn’t take a reprimand for an offense he felt was excusable. So he quit. I was left with the difficulty first of solving the mystery in a way that still brought him credit, and later of getting him back into the police. It took two books to do it. JKP: One of the things the Peter Diamond series offers you is an ensemble of sorts. Rather than just a single main cop or two detectives, you get to play with a whole cast. Has that provided you opportunities you wanted in character development? PL: Yes. It’s a nod to Ed McBain, who made the police procedural work. My work won’t stand comparison with his, but I can see the strengths of a group of detectives interacting and achieving. JKP: If there’s anyone on Diamond’s CID team that seems to attract your attention most, it’s Detective Sergeant Ingeborg Smith, an attractive young former journalist. She’s been given the opportunity to distinguish herself from the group over the last few books. Was this a planned effort on your part to highlight her skills and activities, to give her a larger role? Or did the character demand that herself? PL: Ingeborg is clearly brighter than anyone and develops as a detective, getting promoted and taking on a bigger role as Diamond gets more confident. She’d better watch out. One of her predecessors was the likeable Julie Hargreaves, who gets pissed off with Diamond and asks for a transfer. Losing Ingeborg would be another major challenge for Diamond. JKP: How much of a book like The Stone Wife do you have figured out before you begin writing? Or do you just start, and have faith that things will fall into place as you go along? PL: These days I’m more relaxed about the plot than I used to be. Early on, I would write an outline, chapter by chapter. But I still have a broad idea of how it will pan out and what the surprises are. I’m not a meticulous plotter preparing clues and laying red herrings, but I like to have some key moments that defy expectation. JKP: One of the things fiction-writing invites you to do is explore subjects you knew little about, and perhaps as a consequence, develop longstanding interests in those topics. Have you found specific instances of that during your own career? PL: Tell me about it! That’s one of the joys. I read an article by a member of a famous string quartet saying it was amazing that the four of them hadn’t actually murdered each other--and that was enough to inspire The Tooth Tattoo , about a deadly string quartet with a residence in Bath Spa University. I’m no musician, but my universe expanded. JKP: In addition to writing about Peter Diamond, you penned two novels in the last decade about cigar-smoking DCI Henrietta “Hen” Mallin, The Circle (2005) and The Headhunters (2008). But the latter came out six years ago. Do you have any plans to resurrect Mallin in a future novel? PL: Hen Mallin makes her reappearance in the next Diamond book [Down Among the Dead Men], out in 2015. JKP: I’ve heard before that you weren’t a big reader of crime and mystery fiction prior to sitting down and composing Wobble to Death, that you’d only read a bit of Christie, Charteris, and Ian Fleming. Have your reading tastes changed since, or is your wife, Jax, still the big mystery reader in your family? PL: I’m more clued up than I was. When I meet other writers I’m usually interested to get to know their work. Through the Detection Club, the Crime Writers’ Association, and the Mystery Writers of America, I’ve met many, so my shelves are overloaded and dipping in the middle. As for Jax, she is a linguist and devotes much of her reading time to some new language. If it’s crime, all well and good, but it has to be in Chinese, French, or Italian. JKP: Books by which writers in this genre do you most enjoy? PL: My all-time favorite is Donald E. Westlake in his several identities. He was a staunch friend, too, who once cast me as “Hyman Card of Scotland Yard” in one of his murder mystery weekends at Mohonk Mountain House, in New York. Who else? McBain, [Patricia] Highsmith, [Lawrence] Block, [Graham] Greene, [John] le Carré, [Colin] Dexter, and Doyle. JKP: Weren’t you responsible for ensuring that Leslie Charteris was given the Crime Writers’ Association’s Cartier Diamond Dagger commendation in 1992? How did that come about? PL: It’s a committee decision, and one that delighted me because it brought me full circle, with a chance to honor the man whose work introduced me to crime fiction. He wrote back, “At my age (84) it calls for considerable audacity to promise to do anything so far as eight months ahead, but I will take a chance and say that if I am alive and kicking on May 7 next year I shall be most humbly happy to accept the honor which you have so unexpectedly offered me.” He was terrific on the day, speaking without a note, and with great humor. In my turn, I was most humbly happy to meet him. Within a few more months, he passed away. JKP: Sergeant Cribb made a fine showing on the small screen, but your other stories have found only limited interest among TV and film producers. As you said before, your novel Goldengirl was made into a 1979 science-fiction flick starring Susan Anton, and On the Edge (1989) was brought to television as Dead Gorgeous. You served as a “story consultant” (whatever that means) on the 2003-2007 ITV mystery series Rosemary & Thyme. And I understand that Peter Falk (of Columbo fame) paid you a six-figure sum for rights to The False Inspector Dew, but never did anything with that as far as filming goes. Have you been surprised that so many of your stories have won critical acclaim, but failed to attract attention from film and TV producers? PL: All writers will tell you of their dalliance with the film and TV people. Sometimes it comes off, but more often it doesn’t. So much has to fall into place at the crucial time. You don’t count on anything, but cash the check quickly when it happens. I had a number of unforgettable lunches with Carl Foreman and Peter Falk, and I count it as a privilege to have spent time with such giants of the entertainment business. By the way, “story consultant” is the best of all jobs, because you read other people’s scripts and make suggestions and get to all the parties, as well as being paid well. JKP: Do you still hope to bring Peter Diamond to the screen? PL: He’s probably closer to it than he’s ever been, but I don’t want to jinx the project. 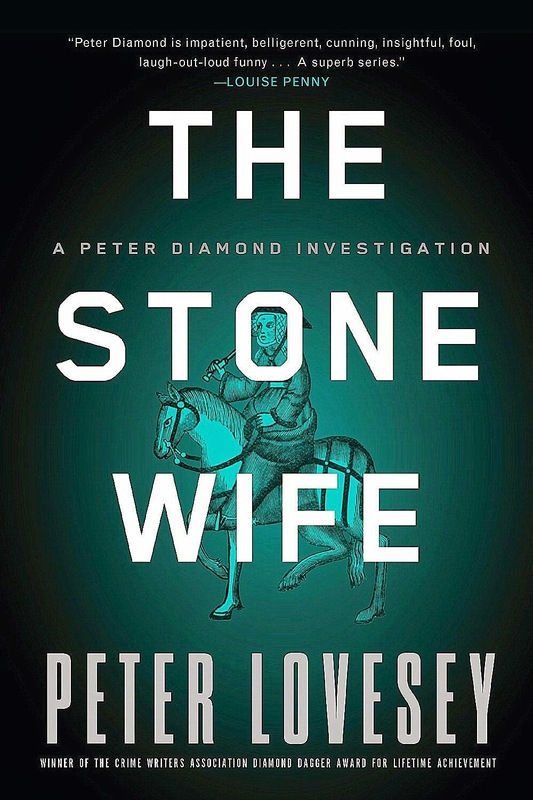 READ MORE: “Peter Lovesey Rides Again with The Stone Wife,” by NancyO (The Crime Segments).